I am starting off today on a bright, sparkly and colorful note. It's bright and sunny here but windy too. I have shown all you a glimpse of my makeup stash. In a series of posts, I would be breaking down my makeup stash and do individual posts on makeup products for face, lips, nails... (you get the flow), which I currently own. Also, at the end of each post I would be sharing my wishlist in each category for the current year. Let's begin. Today's post displays my lip glosses with their swatches. 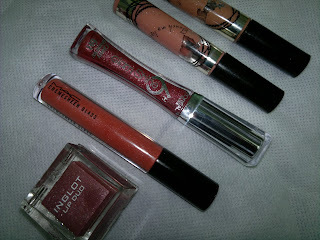 Below you can see a picture of the lip glosses I currently own and use. So, these are the ones which I am currently using. 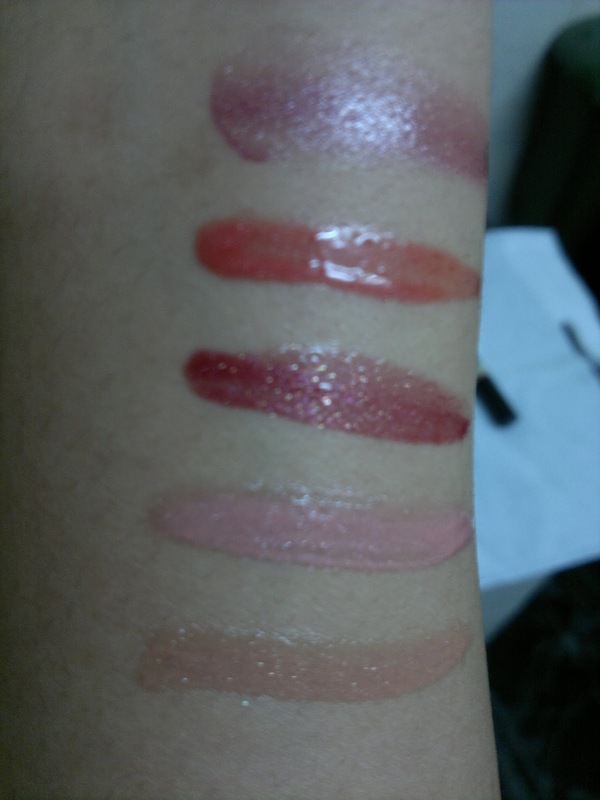 You can read review of Integrate glosses here and MAC lipgloss (GeoPink) here. Would review the Inglot Lip Duo #26 in a few days. As mentioned earlier, here comes my wishlist for this year: MAC sheen supreme (combines lipsticks and lipglosses) in as many shades possible, MAC Deelight and Lychee Luxe Lipglass, Estee Lauder Lipglosses, Lancome Lipglosses, Chanel Lipglosses, maybe ColorBar lip pot, and last but not the least interesting shades from new collections in all brands. I think the list is endless, but these are must haves for me this year. Let's see if I am able to do this by year end.